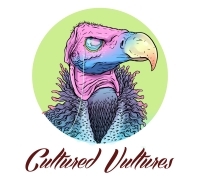 As much as it may look like we write about anything and everything, Cultured Vultures is, at heart, a community for inexperienced writers and journalists to come together and learn about making it on the big, bad, mad web. In the past two years, we have come across plenty of like-minded websites that we would love to spotlight. Those that celebrate writing talent and look to reward great work are more than alright in our eyes, which is why we’re accepting your calls for submissions if you’re a writing website (or something similar) looking for that special short story or captivating poetry. It’s really simple: just fill out the form below as fully as you can and if you meet all the really relaxed criteria, we will publish your calls for submissions to our audience. We don’t want anything in return; it’s just an opportunity to shine a light on the websites and journals that deserve it. Oh, you can also write for us.